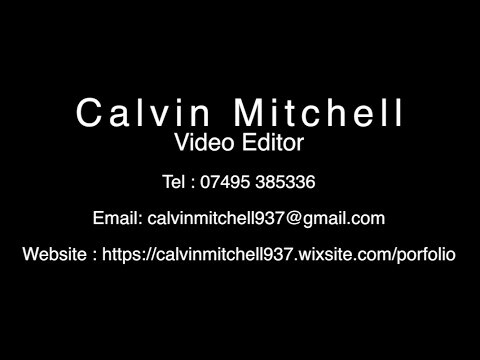 My name is Calvin Mitchell, I am from Oxfordshire and are searching for a position within the film industry as an film editor. I am a hardworking individual and determined to make the best content I could ever make. I have great communication skills and a vast knowledge of different kinds of filming equipment from editing programs to camera’s, like Final Cut Pro X and Arri Mini's. I have proven in the past that I can take direction and use it effectively to get a great outcome for a film or show and recently finished my masters in Film Production at Solent University so I am available all the time. I am passionate about creating stories and showing them to other people but I need experience working within the industry as I haven't had enough experienced to work full time. I hope you consider me for this placement and hope to hear from you soon.